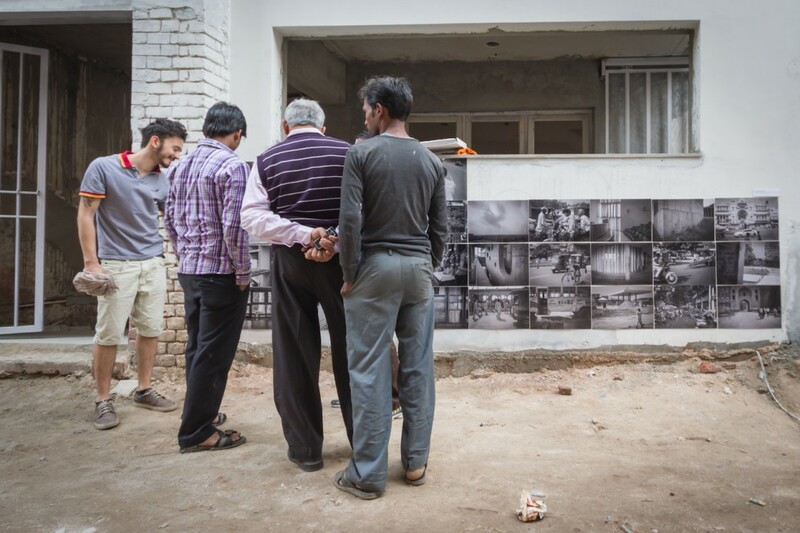 Lahore to Chandigarh is an exhibition of 200 photographs by artist William Titley. The Pakistani and Indian cities are represented by 100 images each, captured when Titley visited in 2008 and 2011 respectively. The exhibition installation is undertaken by the artist in a live process, guided by a tacit understanding of space and location. The final arrangement of the photographs depends heavily upon Titley’s interaction with the people and politics of a given place - the conversations pre, during and post installation are all part of the work and help to inform the development of the project. Lahore to Chandigarh has been presented at various sites, negotiated through chance encounters; often presented outside the gallery context, the conversations and situations help form the process and generate dialogue around issues of location, identity and spatial ownership. 1pm – 4pm St Nicholas Arcade. (Free Artist Talk at 3pm). Locations to be confirmed - register at the Peter Scott Gallery and we'll point you in the right direction! The project includes the launch of an artist’s book published by Café Royal Books with contributions from writers from the participating countries and all 200 photographs. The text responds to the collection of images, exploring perceptions of both Punjabi cities. The publication is available for sale at £15.00 from the Live at LICA shop. The Lancaster city centre presentation of Lahore to Chandigarh is delivered in collaboration with DART, Lancaster.